Pre-Order now available at kono.store! 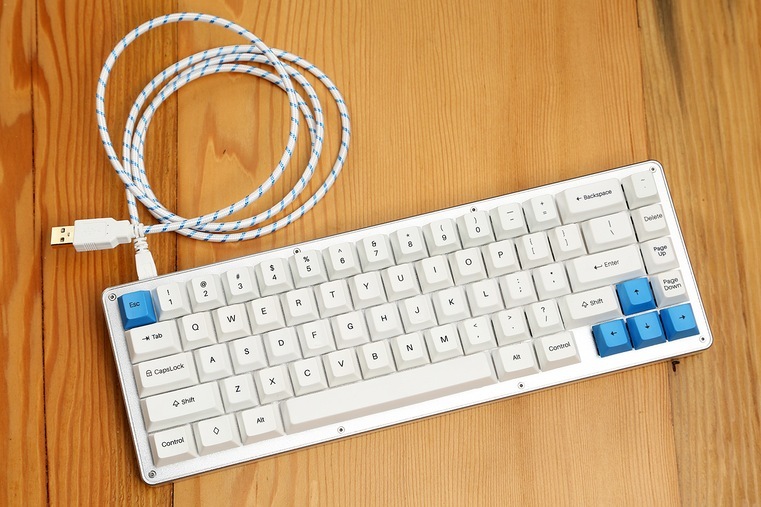 The WhiteFox keyboard is a collaboration project between Matteo Spinelli (matt3o) and Input Club, and previously was produced with Massdrop. The design of the WhiteFox was meticulously prepared and took almost an entire year to come to life. 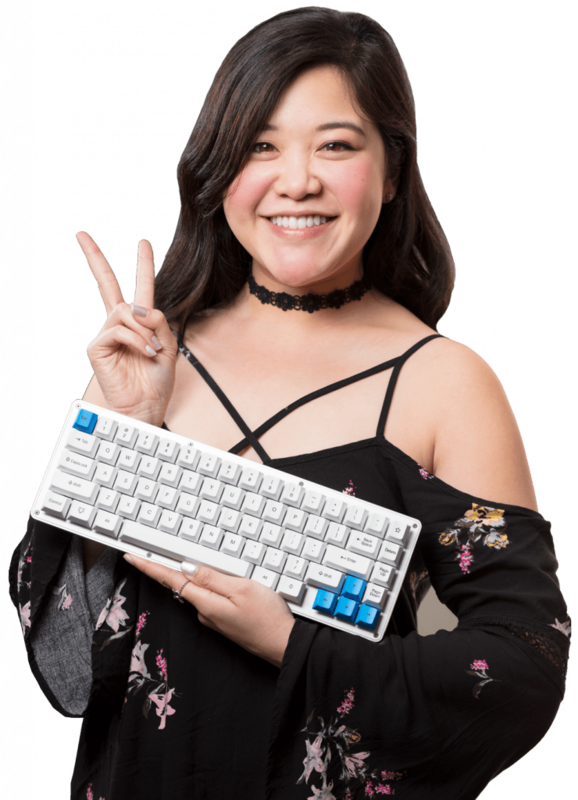 The WhiteFox is a 65% mechanical keyboard with an aluminum case and plate, Cherry profile PBT dye-sublimated keycaps, a huge variety of keyswitch options including Cherry MX, Gateron, and Zealios, and a fully programmable PCB. 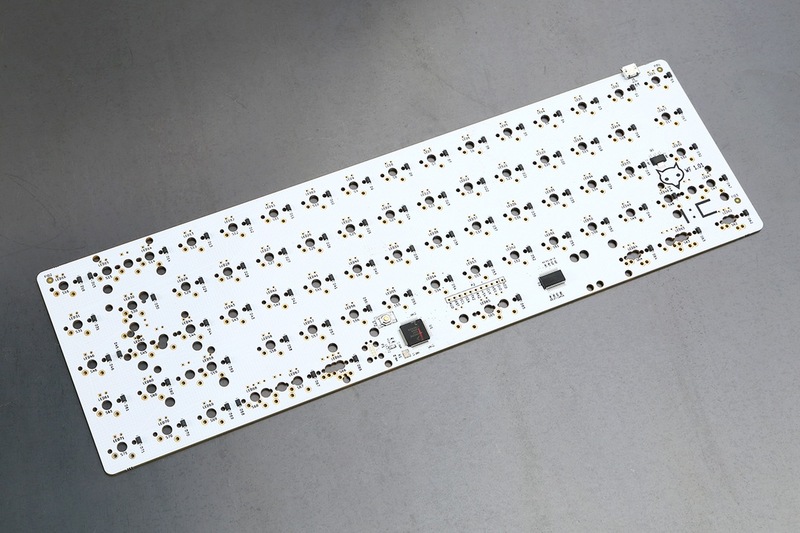 The PCB is based on the same architecture as the Infinity Keyboards and is programmable using our web configurator, by command line, or with the popular keyboard firmware TMK. 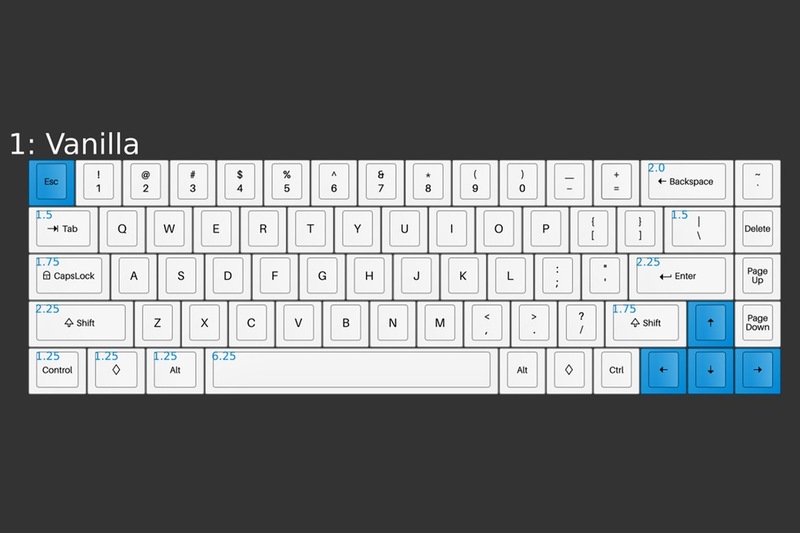 For a guide on how to program your keyboard using our configurator, please click this link. 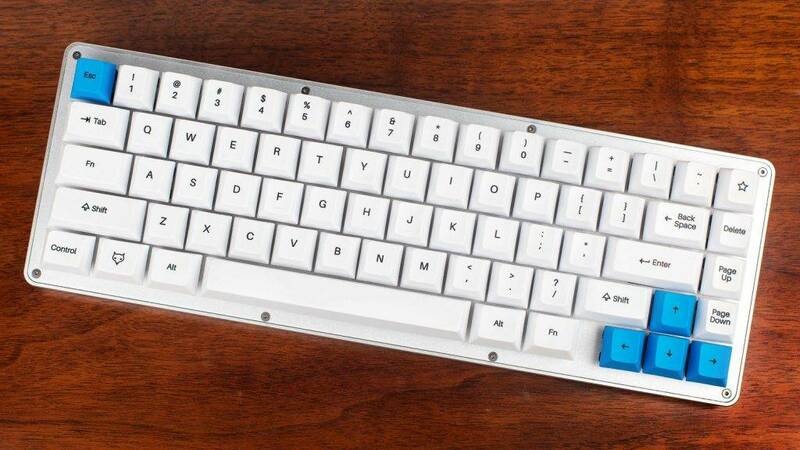 The WhiteFox keyboard is available as a kit you can assemble yourself or pre-built and ready to go out of the box. For more information from Matteo Spinelli himself, read this blog post on the making of the WhiteFox. 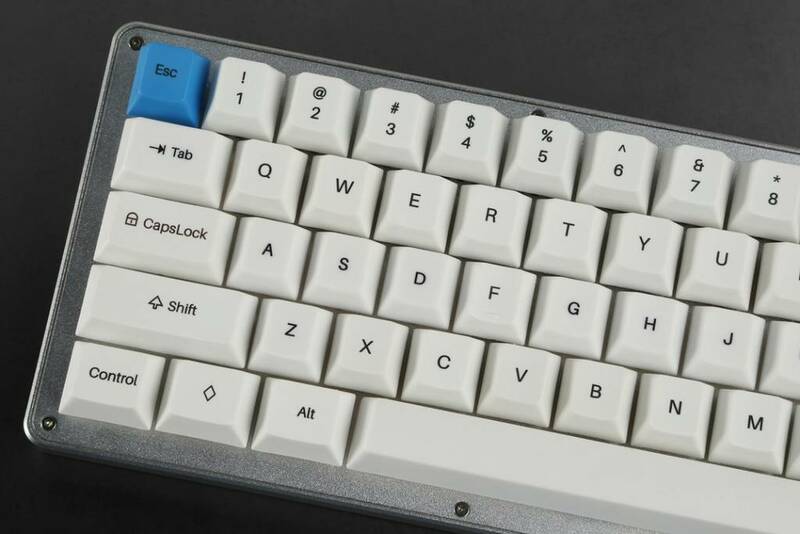 The WhiteFox keyboard is the direct descendant of the BrownFox keyboard kit which was born on the Deskthority and Geekhack keyboard forums. 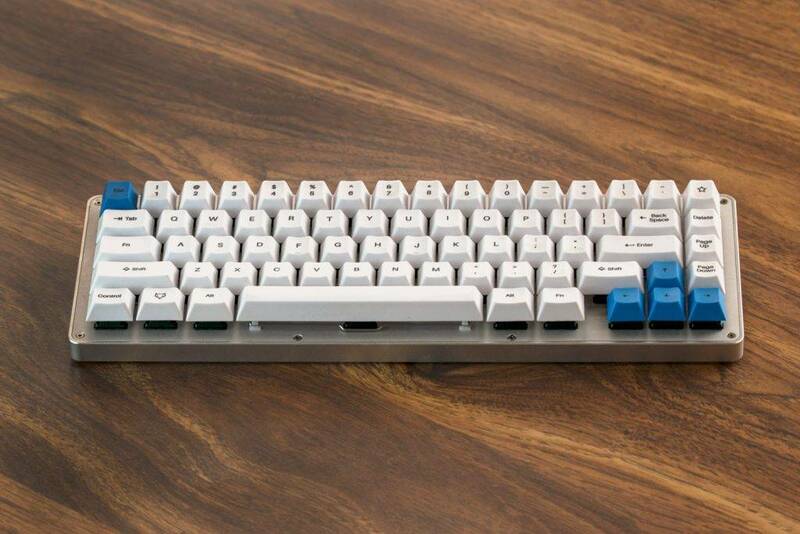 This post provided inspiration to keyboard designers everywhere and is considered one of the original DIY keyboard kits in modern mechanical keyboard culture. 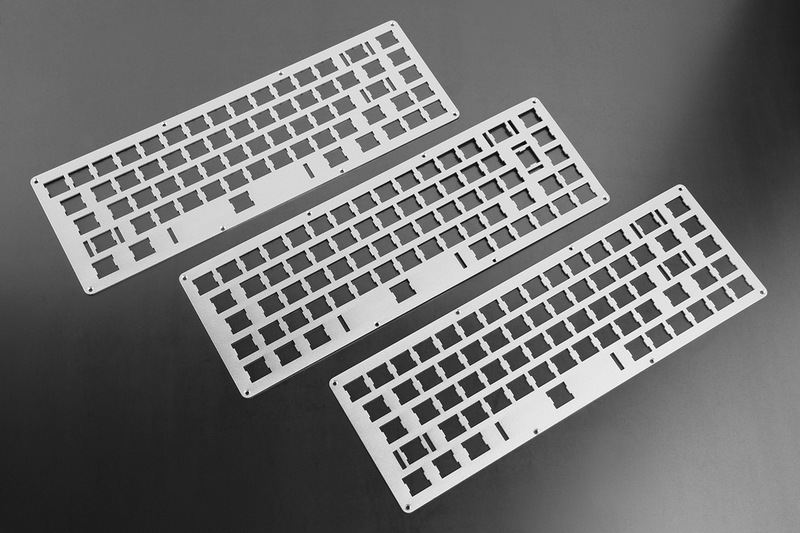 The design is also the product of years of research and experience and has many little details that separate it from other mechanical keyboards. 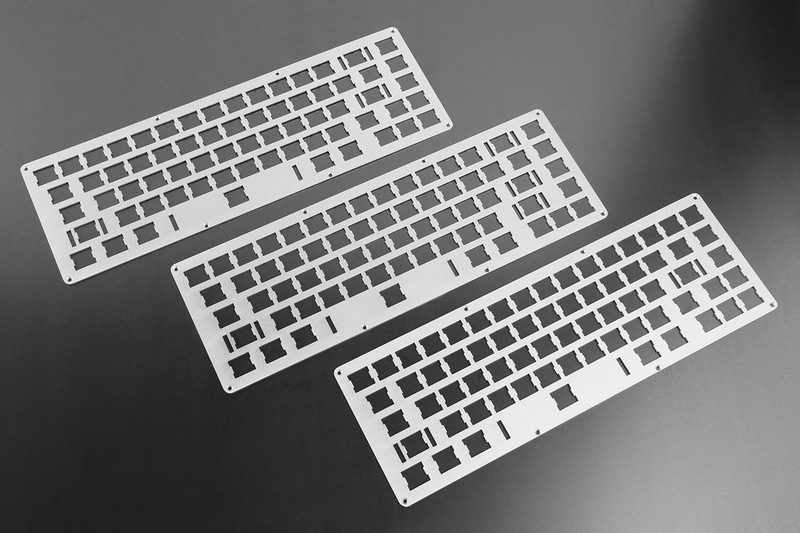 Notably, the plate is made with aluminum instead of steel to provide a small amount of flex with every keypress. Steel plates tend to be very firm and unrelenting and bottoming out constantly through use can be tiring. 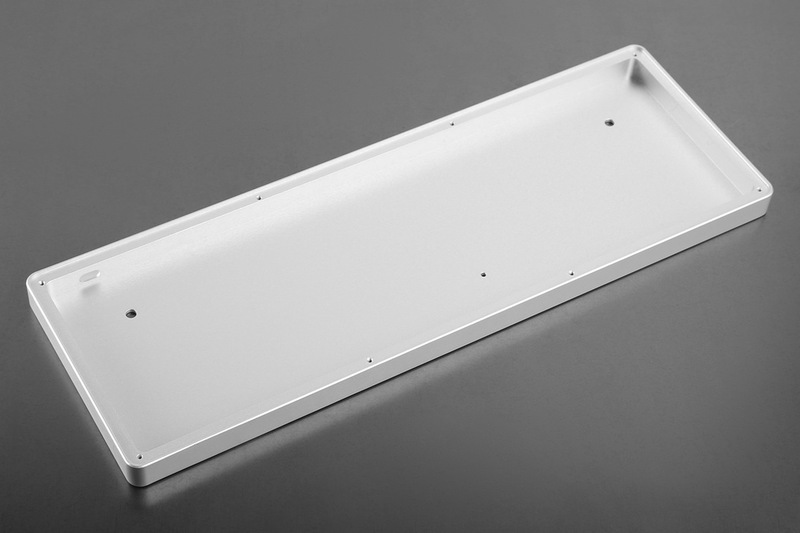 Also, the aluminum plate’s mounting screws are flush with the top of the plate, an incredibly tricky design detail that truly makes the keyboard exceptional. The PCB is colored white to better fit with the overall “WhiteFox theme” and the keyset was modeled after a beautiful picture of an Arctic Fox. 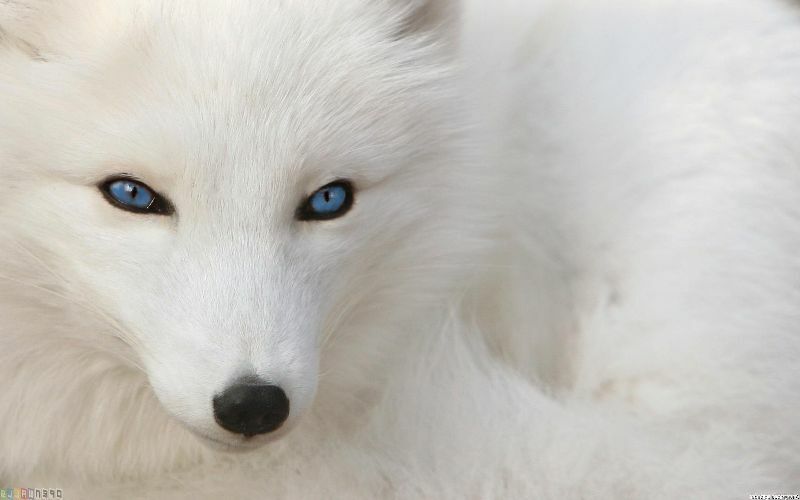 Get notified on where and when the WhiteFox is available! 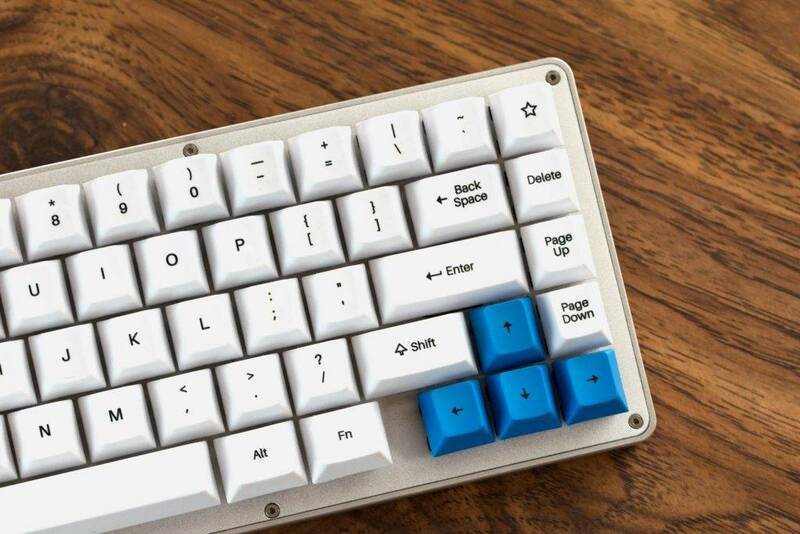 Beyond the huge variety of options mentioned above, the Whitefox also comes in six different plate layouts, but with one PCB that is compatible with all options. The plate layouts are described in greater detail below. A rectangular layout with no gaps between keys. Very functional and with a standard keycap aesthetic. As you may have gathered, Matteo Spinelli is from Italy and wanted to release a set for people used to ISO Standard European keyboards. This version is very similar to Vanilla, but with ISO Enter and appropriate modifications to the other keys. A lovely layout as beautiful and refreshing as its namesake, Aria is perfect in every way and has a distinguished and impressive backspace. The 7 unit spacebar is a relic of a bygone era before Windows demanded a designated key on every keyboard. Winkeyless sets are preferred by collectors and enthusiasts alike and many high end keysets designed today include Winkeyless options. The dream keyboard of Matteo Spinelli and by far the most popular version available. The True Fox combines the elegance and minimalism of the Happy Hacking Keyboard with the compact functionality of the Leopold FC660 series. The gap between the arrow key cluster and the modifier keys is fully intentional, as it provides your hands with a natural air gap so you may more easily find navigate your keyboard. Admittedly, one downside to the WhiteFox is that normal keycap sets will not be 100% compatible with the above layouts. 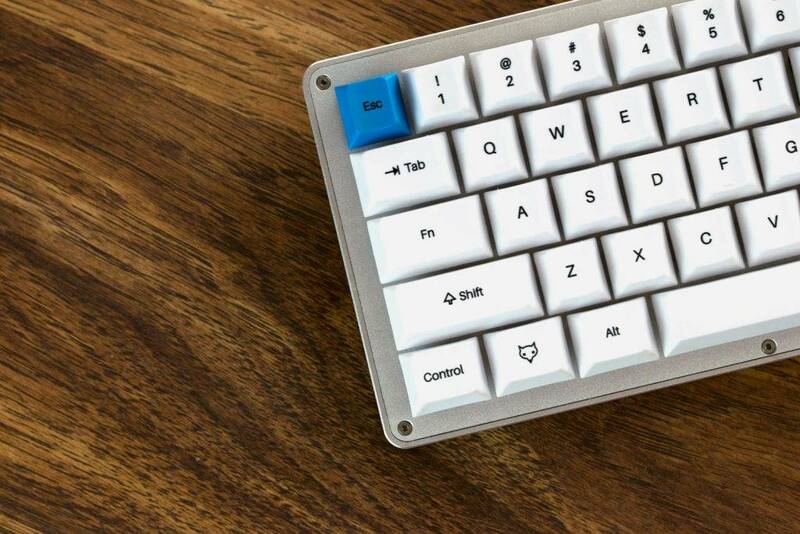 The Jack of All Trades exists for people who want to swap out the WhiteFox keycap set for their existing keysets. Any standard ANSI keycap set will be compatible with this option.